Were The Vikings Traders Before Raiders? 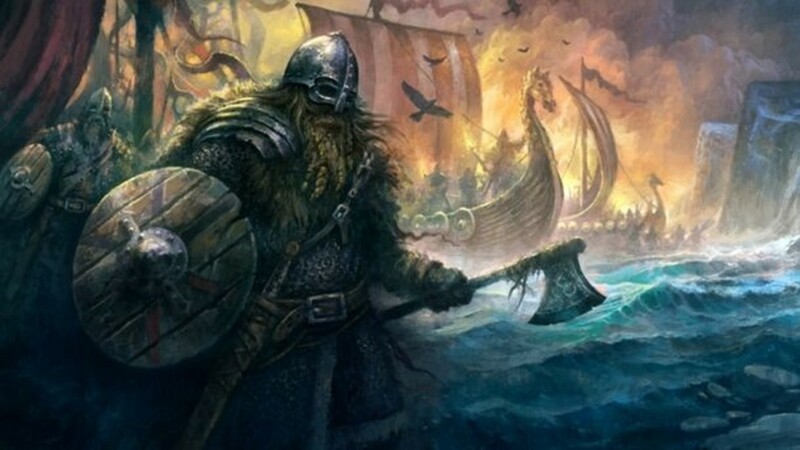 The Vikings were Germanic Norse seafarers; speaking the Old Norse language, they were a terror to northern and central Europe, as well as European Russia. 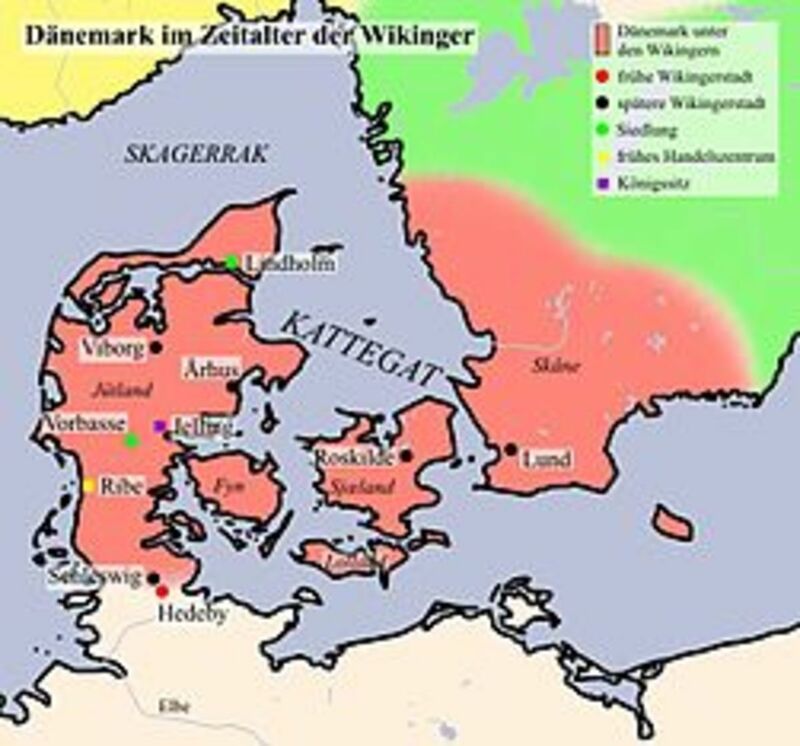 The daredevil warmongers raided and traded from their Scandinavian homelands during the late 8th to late 11th centuries. Based on history, myths and legends, we know that the Vikings were brave and violent warriors known for their gallantry and valour, who tried to expand their territories by waging bloody battles. Their expertise at boat making added to their fighting skill. The recent television show - Vikings in the History channel also portray them as a fighting race. 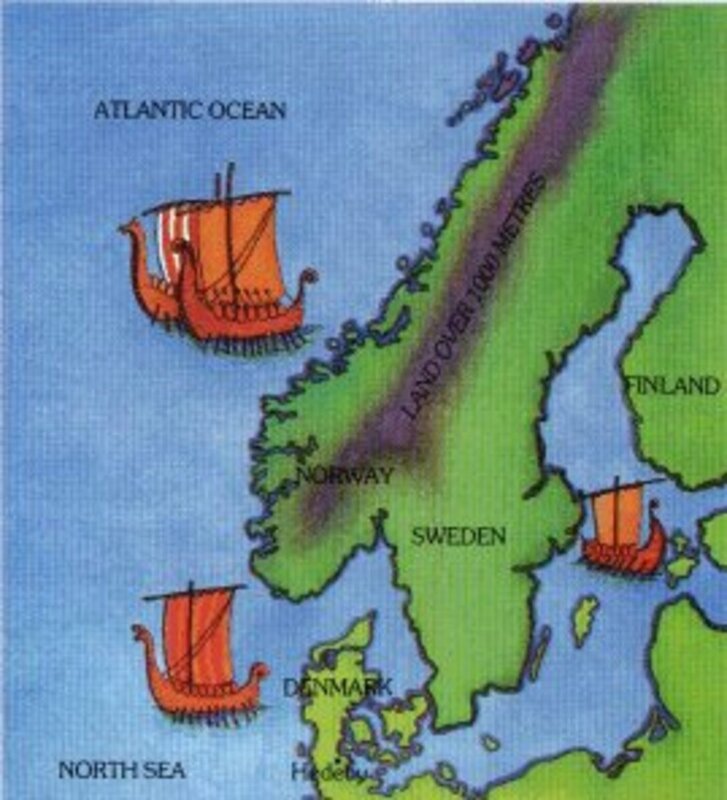 However, there’s one long standing controversy about this legendary Scandinavian race: WERE THE VIKINGS TRADERS BEFORE RAIDERS? 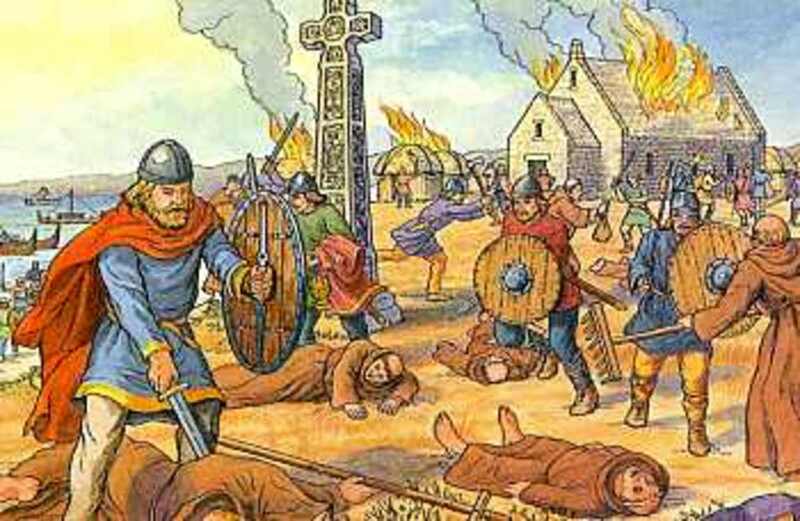 The common conception is that the Vikings were dirty savages and killing devils, as chronicled by historians for the past thousand years. 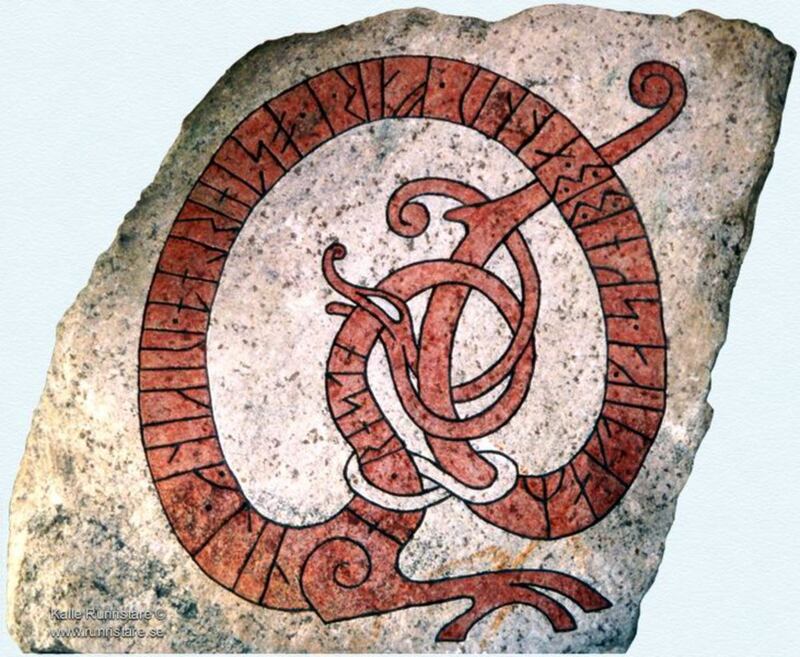 This distorted image exists because of later Non-Scandinavian Christian misinterpretations about the “Pagan” Vikings and there exists a certain possibility of bias. In popular culture, the world knows the Vikings as a battle-loving powerful tribe. However, recent Archaeological evidence tells a different story altogether. A study led by Dr. Steve Ashbyi, at the Department of Archaeology at The University of York, along with his colleagues from the Aarhus University in England has recently made a ground breaking discovery which suggests that the dawn of the Viking Age was about 70 years earlier than believed and much less-violent. What the study proves is that: THE VIKINGS WERE PREDOMINANTLY TRADERS THAN RAIDERS. 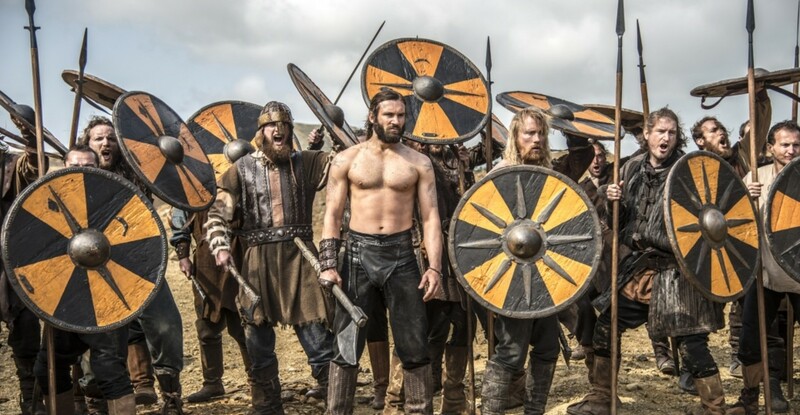 Were the Vikings one of most fierce warriors ever? 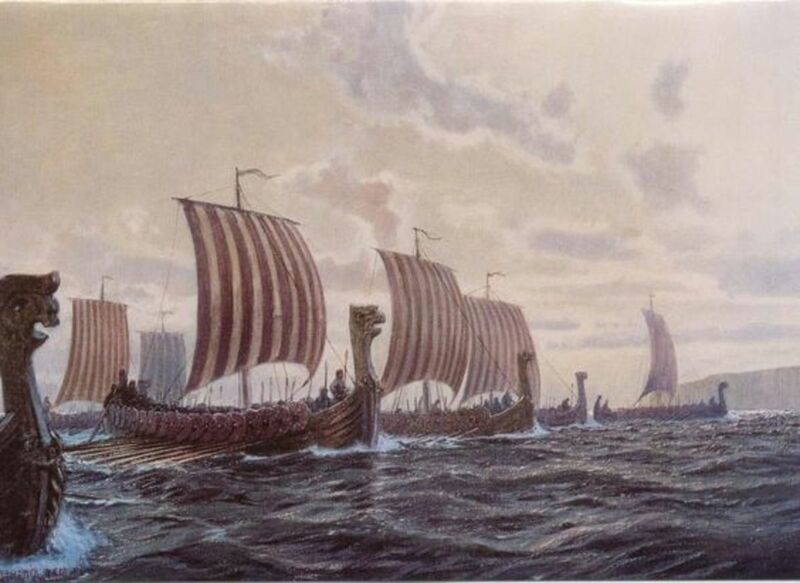 Based on earlier available evidence, it was known that the era of the Vikings started dated June 793 AD with a raid by Norwegian Vikings on Lindisfarne (also called Lindisfarena and Medcaut), a tidal island off the northeast coast. However, this new research published in the European Journal of Archaeology shows that Vikings were travelling from Norway to the vital trading centre in Ribe on Denmark's west coast as early as 725 AD. The common notion that the Vikings were violent and barbaric changes with this new discovery! The evidence that the Norwegian Vikings reached the trading town of Ribe, in south-east Denmark ( Ribe is about 500-600 kilometers from the Norwegian Vikings homeland in central Norway) clearly proves that they had a keen interest in trading as well as in developing merchant routes. Using a bio-molecular technique, developed at York's BioArCh laboratory, the research team led by Dr. Steve Ashbyi studied ancient bone and antler objects along with the fragments of manufacturing waste from the archaeological remains of Ribe's old marketplace. Testing a number of obtained samples, the researchers found out that they were reindeer antlers which are not local to Denmark, and was probably brought in from central Norway. The researchers say that the antlers are proof that Vikings visited Ribe, the oldest town in Scandinavia. 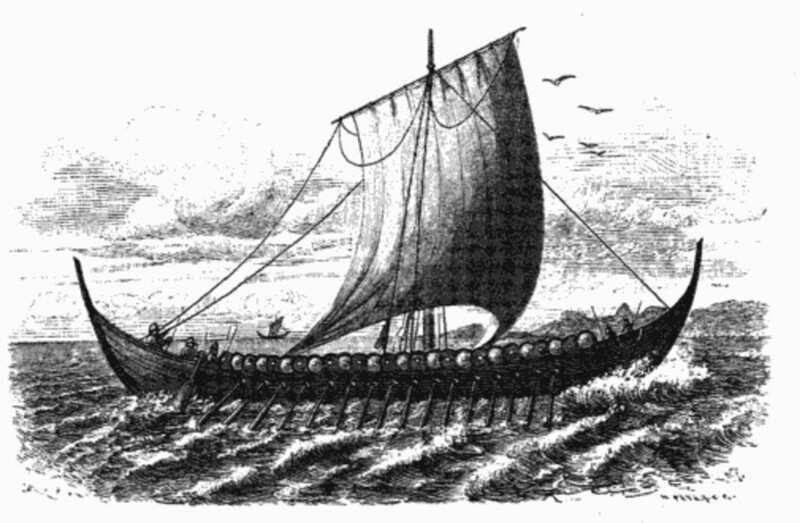 It can be inferred that those trips gave the Vikings the seafaring skills that would be used some 70 years later (793 AD) to reach and strike England. 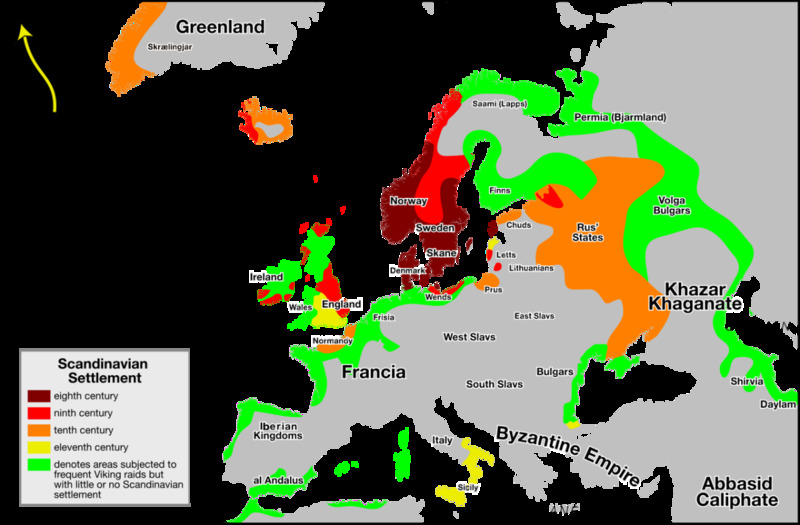 Other Important trading ports during the period include Birka, Hedeby, Jorvik, Novgorod, Kiev,etc. There is archaeological evidence that Vikings reached as far as Baghdad, the centre of the Islamic Empire.The Norse regularly voyaged through the Volga with their trade goods: furs, tusks, and slaves. The study by Dr. Steve and others, drew on a biomolecular technique called ZooMS (Zooarchaeology by mass spectrometry), pioneered by Professor Matthew Collins at York's BioArCh laboratory. This rapid, reliable, and minimally destructive technique characterises the proteins in the collagen component of organic material, allowing identification of animal species. Previously, a team led by Dr Ashby identified the absence of reindeer antler in pre-Viking combs from Scotland, thus discounting suggestions of contact between the British Isles and Scandinavia before AD 793. What significance it is to find deer antlers in Ribe? Is it important? The answer is, yes. 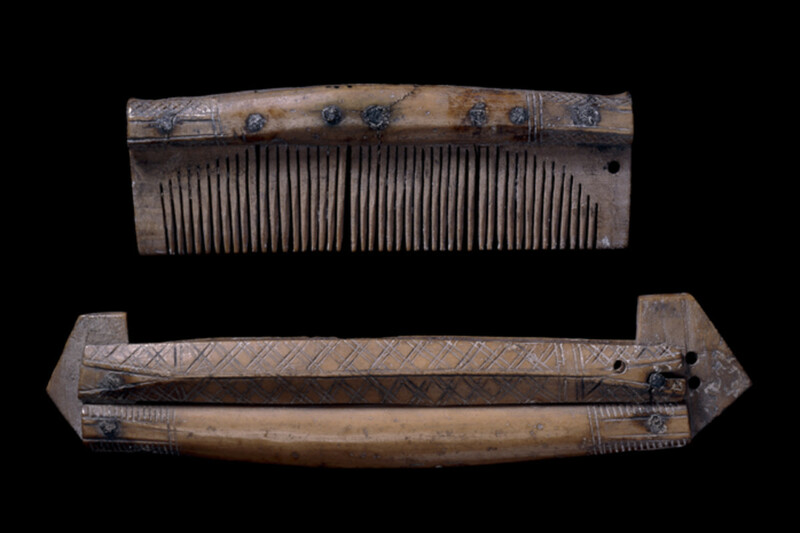 During the 7th and 8th century, manufacture of HAIR COMBS was an important industry in the Scandinavian lands. The deer antlers made great combs and knowing the supply-demand game of Economics, we can assume that the professional comb makers of Ribe wanted the best qualities of antlers that they could manufacture good combs with. Further, as the comb making industry was a huge one, a constant supply of antlers was required. This study at York has proven that the early Vikings had access to large quantities of reindeer antlers and sold them to the comb makers of southern Scandinavia. 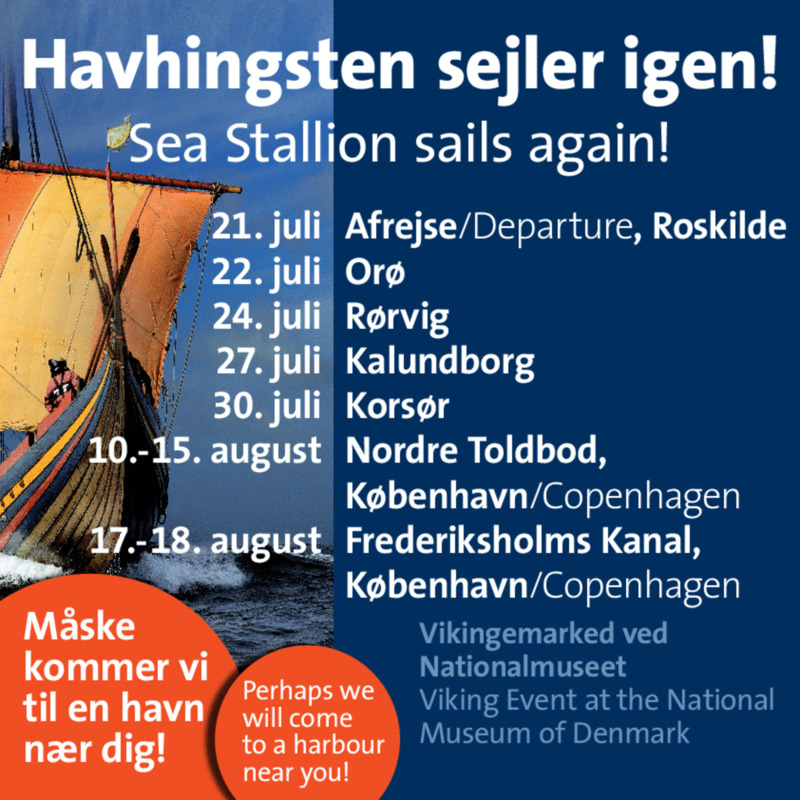 Thus, the journey of the Norwegian Vikings to Ribe in Denmark is justified and understood. Map of Denmark showing Ribe on its west coast. Norway is the yellow colored land in the North. 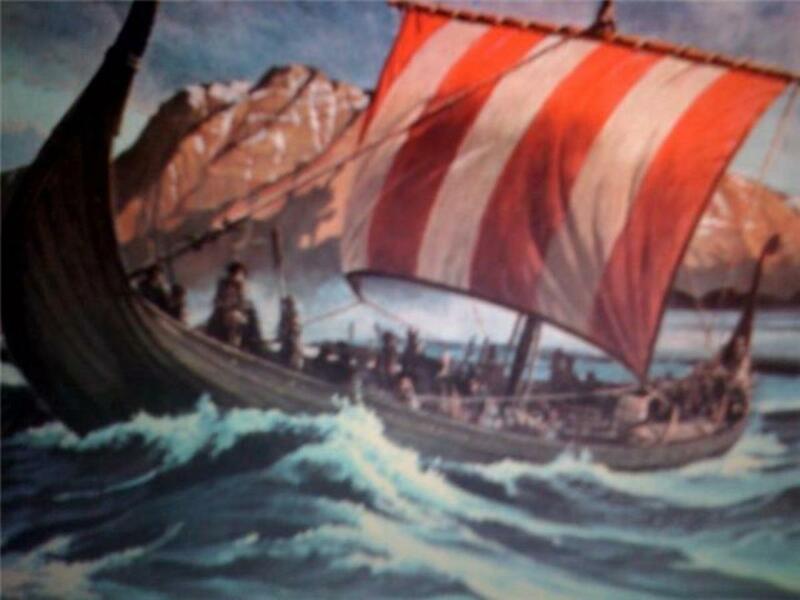 The fierce long ships and the frightful Scandinavian fighters rowing forward! That is the first image which comes in our mind when we think of the Vikings. However, that is one part of the Viking Era. 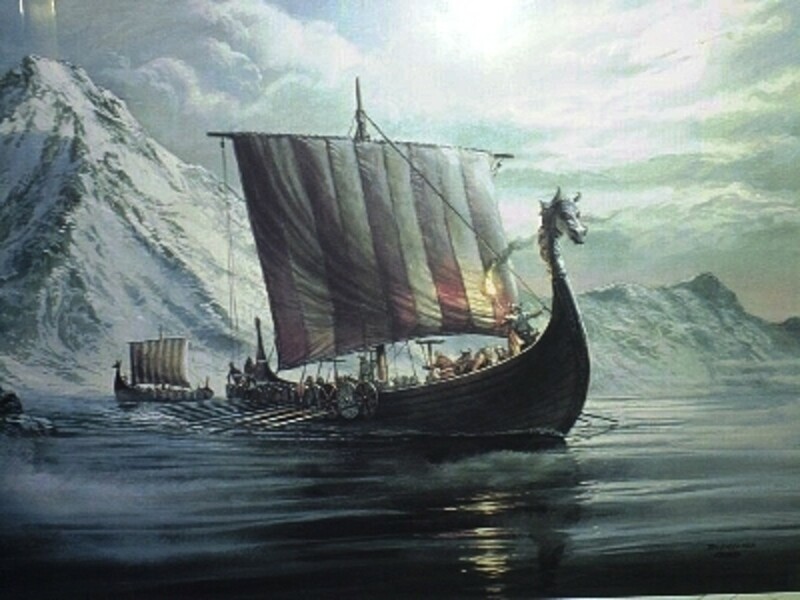 They probably went to long distance voyages as merchants much earlier and that might have resulted to the development of the famous “Viking long-ships” as we know it. Also, the increasing Frankish kingdom (in their neighbourhood) and their oppressive ruler Charlemagne may have forced the Vikings to build long ships in which they could go to far off lands. A basic instinct of Man is to survive, the Frankish-Christian threat scarred the Scandinavian people so much with a strong army and a new God, that they started to take counter-measures and after the Viking Earls were self-satisfied at their sea-faring prowess and after they had mastered the craft of boat making, they decided to attack the lands of England in order to scare off the Christian kings. 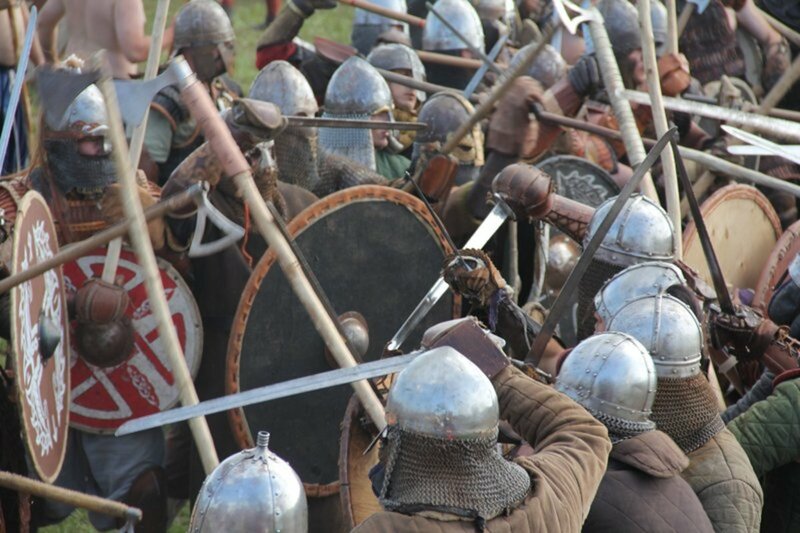 Now we know that the viking raids started for resisting the Frankish threat and for trading as well! Thus, the pages of History must be re-written. The Vikings, History TV show.